When dealing with any type of real estate transaction whether it is residential, land, commercial, etc. you will be using both market and appraised value. 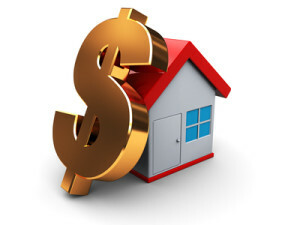 For today, we will talk about what market value of a home is and how it is determined. Market value of a home is and educated guess on what a home would sell for under current “normal” real estate market conditions. This excludes a seller who is under stress to sell such as a job loss, forced to move, or death of a family member. Supply and Demand – How many homes are for sale compared to number of buyers – this is determined by months of inventory. External conditions – The homes “curb appeal”, lot size, style of home, sidewalks, etc. Internal conditions – Square footage, number of bedrooms and bathrooms, updates or renovation completed on the home, etc. To determine market value the best way is the comparison approach “Comps”. 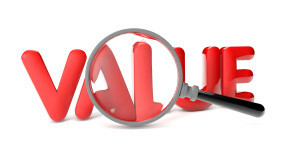 Real estate agents and appraisers use the comparison approach to determine a homes value. Real Estate agents call in a market analysis and appraisers call it an appraisal. The comparison approach researches similar properties that have sold in the local area. In a comparison approach there should be at least three comparable sales in the last six months. These sales should be under normal conditions and sold at market value. 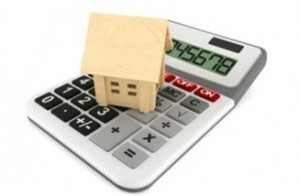 These are the main characteristics to determine if a property is a comparable or not. What If a Comparable is Not Exact? Most of the time you will not find exact matches to your subject home. When this occurs an analysis of whether the differences will increase or decrease the sale price, and by how much. Once that is determined then adjustments in the sale price need to be made. The adjusted sales price is what the home would sell for if all the characteristics were the same. Let’s say your home is a 1,500 square feet ranch with 3 bedrooms, 1 bathroom, full basement, and two-car garage on ½ acre of land. It was built six years ago in a nice neighborhood. After doing some research, you find three comparable properties recently sold at market value. However, not all of the characteristics match up. Sale #1 is in a less desirable (or inferior) location and Sale #3 has an additional bath. Sale #2, though, is almost identical to your home. Since Sale #1 and Sale #3 aren’t identical to your home, you must compensate for these differences by adjusting the sale price of each property. To do this, you have to guess what the property would have sold for if the property had the same characteristics as your own. Since you already have the sale price as a baseline, you only have to estimate the value of the differing characteristics. For instance, you can safely assume that Sale #1 would have sold at a higher price if it was located in your neighborhood, which is the nicer one between the two. You then estimate that the increase in value would be around $30,000. The adjusted sale price for Sale # 1 is thus the sale price plus $30,000. Next, you move on to Sale #3 and determine that not having the extra bath would decrease the sale price by about $12,000. Because Sale #2 is almost identical to your property, no adjustments are necessary. Where can Comparable Sales be Found? Comparable sales approach is just an educated opinion of what a home could sell for in the current real estate market. What truly drives home values are buyers.